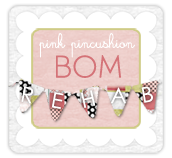 Cupcakes 'n Daisies: Friday Finish! Happy Birthday, Cooper, wish you many happy dog years ahead! 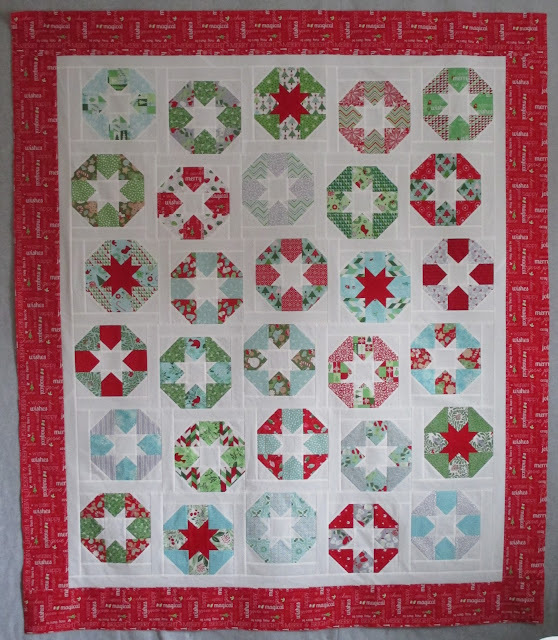 Love your Lollies quilt looks so great with xmas fabrics perfect for the season! You nailed the Lollies quilt in Xmas fabric. I think it was perfect! Cooper was sooo little! LOL! He is a big boy now. Hope he enjoys his special day. I'll be sewing this weekend for sure. I want to finish the swoon blocks I started on my last retreat. I will be going on retreat as of next Thursday, so I want to be able to put it all together then. Have a great weekend!! Just love your Christmas Lollies quilt Thelma !! Wishing Cooper a Very Happy Birthday ! Too funny! Your photos of Cooper are hilarious!! The pics of market get better and better every year and how is that even possible anymore??? I loved Betsy chutchian's display and quilts this year. 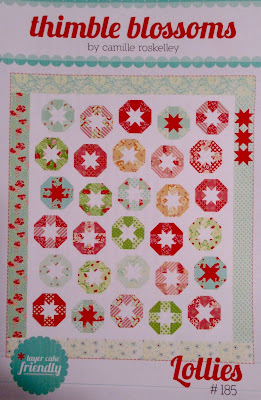 I'm headed down to my sewing room now to start another Farmer's Wife block...my latest addiction. Have a great weekend, Thelma. Cooper is so adorable! Yes, Santa needs to bring that baby a new bed! Your quilt is wonderful, and you've inspired me to get the pattern. You're an enabler! Only applique so far this weekend. Almost to the 200 mark on the basket blocks, just three more to go. 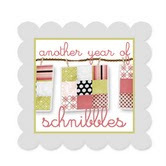 Today I get in the quilting joint to get some bindings on quilts that have just been languishing all year. Time to just get them done since two are Christmas presents for little girls.